NHC issues final bulletin on Irene | Watts Up With That? IRENE WAS LOCATED NEAR LATITUDE 45.3 NORTH…LONGITUDE 71.3 WEST. IRENE IS MOVING TOWARD THE NORTH-NORTHEAST NEAR 26 MPH…43 KM/H. ESTIMATED MINIMUM CENTRAL PRESSURE IS 980 MB…28.94 INCHES. RAINFALL…HEAVY RAINS ARE DIMINISHING OVER NORTHERN NEW ENGLAND. Is it simply my lack of perspective (I’ve lived most of my sixty-mumble years in the mid-Atlantic states between New York the Damned and Mordor-on-the-Potomac), but was this whole “Run For Your Lives/We’re All Gonna Die!” cattywumpus over Hurricane Irene exceptionally hysterical for the size and force of the storm, or what? I got the consistent impression that the hairspray-heads of the yammering media were filling essentially dead air in a slow news interval while our political parasite class were striving to project the illusion of utility to justify their predation upon the shrinking productive sector of our population. I’d be interested in some meteorological perspective to help put this storm – and the past several days’ hooraw – into some kind of context. As things stand, I’m inclined to scoff. I don’t understand how they convert mph to km/h. IRENE BECOMES POST-TROPICAL but will the public become post-traumatic! LOL. “I think what we are seeing now is a much more significant counting of not just the short-term costs and reactions but the longer-term costs, the loss of community cohesion and that being essential to people’s long-term mental health,” Professor Hickie told ABC Radio’s AM. Tucci78: I think you have it exactly right. This was totally blown (pun somewhat intended) out of proportion. The “biggest storm to hit the area in 50 years” talk was never justified, unless it was put into the context that there hasn’t really been a very big storm in the area in 50 years. The talk about a 30 foot storm surge was total nonsense, and talking about what might happen if there was a 30 foot storm surge was no more justified than talking about what might happen in an alien attack. The talk about a 30 foot storm surge was total nonsense, and talking about what might happen if there was a 30 foot storm surge was no more justified than talking about what might happen in an alien attack. Still and all, I had my hopes that Irene would descend upon Martha’s Vineyard with all the wrath of Allah vengeful upon apostates, leaving our TelePrompTer-in-Chief treading water in the cold Atlantic as local private citizens troll slowly past in their small craft, each of them throwing him an anchor…. 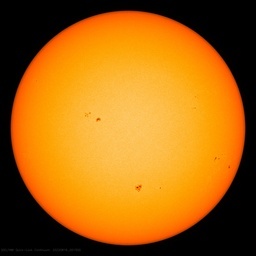 This is the 10th billion dollar + costly weather event for 2011 breaking the record. Maybe the locusts are next? Joining the grain, rice & Japanese beetles. It’s also hard on the financially challenged small businesses. Up to 40% could go out. It’s a serious deal we need to recognize that fact. Hoopla fizzles in Quebec. I predicted New Brunswick a cupla days ago. H/T, Tucci78. You’re spot on. And hopefully the last post on WUWT about it as well ! Hindsight, by it’s use all the worlds wars could have been prevented, it’s disasters averted, it’s problems solved. Truly it’s that simple? As usual, http://xkcd.com/944/ sums it up. I am still having trouble believing the categories issued by NOAA during the storm from the beginning until the end. There were times I could see every weather station from miles around the eye and could only see sustained winds of 50 mph or less while NOAA was claiming the storm was a hurricane with 85 mph sustained winds. I have seen no explanation for that anyplace other than some hand-waving about 33 feet off the ground or look to the east of the storm. Do the planes fly at 33 feet? Is NOAA using indirect methods? Does Hansen run NOAA? What is up with 30 mph speed differences almost the whole life of the storm? Perhaps they are using a new method developed at Penn State? The NY Times has a story on why things went a bit sideways with the forecasts for Irene. While I can sympathise with some of those involved in this understandable error, I have a few questions about why the NHC continued to report such high wind speeds when it was clear that nothing anywhere near their numbers was actually occurring on the ground. Reading the story, one sees many reasonable reasons for Irene’s strange behaviour, but nowhere do they explain why there was such a huge discrepancy in reported vs actual wind speeds. NHC was reporting >100 mph sustained winds all over the place. Somebody has some splainin’ to do. While the winds weren’t as bad as predicted the storm has been bad in NJ. Worst flooding since at least Gloria, still a state of emergency, basically you can’t get anywhere. About 500,000 homes without power which won’t be restored for many until the weekend. I hate to think what a Cat 2 at landfall on the NJ shore would be like! Irene was a big F-A-I-L for me in New Hampshire. Some flooding and scattered power outages in our area, but nothing major. To say it was over-hyped is the understatement of the year. My wife and I went up to Plymouth NH to see the Pemigewasset River, swollen in part due to a dam failure (or overflow, not sure which) on a feeder river upstream. I think there’s several feet of water on the road where we were, pretty standard flooding. Paula found the state list of road closures last evening – 14 pages. A few major roads in the White Mountains have multiple washouts and one bridge is likely destroyed. The list also included the dirt road by our yurt, but it could be north or south of it. We’ll try getting there from the north, but that means going through Canaan, and the NH Rt 4 & NH 118 intersection and surrounding area was flooded and evacuated last night. It’s probably okay now. My daughter in MD didn’t have power as of last night, and probably doesn’t have it now. Looks like Irene took a big bite out of ocean heat. I wanna cry. I had a complete posting typed out here, hit one wrong key and it all disappeared! While I appreciate that the NHS bulletins include Canadian references, some points in the one posted above puzzle me. I live in New Brunswick, and had just barely heard of Fort Lawrence from travelling between New Brunswick and Nova Scotia. A check confirmed that Fort Lawrence is on the Isthmus of Chignecto, where NS joins NB. However, apart from an archeological dig (and possible reconstruction of the former fort for touristic purposes??? ), Fort Lawrence is only a little rural community. I am curious why the larger town of Amherst was not used as the geographical reference. Fort Lawrence is on the coast of NS, so continuing along that coast takes one along the coast of peninsular NS until one curves around the end of the peninsula and heads up the south coast, where one eventually finds the settlement of Porter’s Lake. I had not heard of Porter’s Lake before, and found that it is close to the major city of Halifax. But I am still confused by the reference to the south coast of NS since a line from Fort Lawrence to Porter’s Lake goes through the middle of NS. It have made sense if the bulletin had stated that there would be strong winds above a line between Fort Lawrence and Porter’s Lake…..
Did Irene make land fall as a hurricane?. The definition i see of landfall is the center of hurricane crossing land, What i see is the track crossing land but not the center until it hit NY as a TS. Friend of mine sat through the whole thing on the Jersey Shore and agrees it was much ado about nothing. Says he’s gone fishing in similar winds (maybe not quite as strong). Now the rain fall is somehwat a different story but again, blown way out of proportion. All in all a good excuse to hand out more money to constituents. Sorry Jim the rainfall in NJ is not blown out of proportion, the shore may have dodged a bullet but inland it’s the worst flooding since a similar event in 1903! Large, plodding and sloppy, it was. Dang. Rain gauge at the yurt was clogged with a twig. I really wanted to see what it got. My wife wouldn’t let me drive across one washout (hey, it’s a Subaru) so we parked near there and walked. There were a couple interesting washouts before there. Downhill from the yurt a large culvert is washed out and will take quite a while to rebuild. Doing better than lotsa of places, Brattleboro VT looks like quite a mess. One building has a water mark just a brick or so off from the 1938 flood. Tell me again why ground-level wind speed is important. Big storms bring big rains, even if they don’t stall. But I am still confused by the reference to the south coast of NS since a line from Fort Lawrence to Porter’s Lake goes through the middle of NS. It [might] have made sense if the bulletin had stated that there would be strong winds above a line between Fort Lawrence and Porter’s Lake…..
And Fort Lawrence seems to be an odd place to start/end a warning. The Firefox ‘Lazarus’ add-on is your saviour. Get it.